As the name indicates that shotty means short lymph nodes, which get swollen and enlarged. 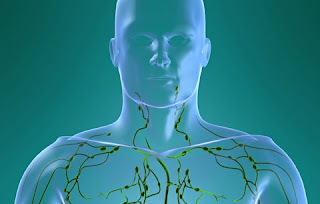 Lymph nodes are the component of lymphatic system i.e. immune system which are small bean shaped covered in a capsule which comprise of several connective tissues and it helps in the defense mechanism of body against foreign invasive particles like bacteria, viruses and other pathogens as it contains macrophages and lymphocytes in it. This normally occurs in the lower neck region, in the armpits, near chin and the groin. The swelling in the lymph nodes occur as a result of viral or bacterial infection in body. This swelling of lymph nodes due to any infection is known as lymphadenitis but the rarest cause behind it is cancer. Most often the lymph node enlargement becomes permanent and they may be painless, and may not tender and soft like temporary shotty lymph nodes. The permanent lymph nodes are usually smaller in size i.e. 1cm. and it is most of the time asymptomatic showing no symptoms and malignancy. These shotty lymph nodes may form with a little soft compression and may disappear by itself. Sometimes the associated cause is treated to treat the shotty lymph nodes. The most common size of lymph nodes seen are 1 cm and it is considered normal. But the size may vary with the severity and type of lymph node associated. In case of epitrochlear node, the size of the lymph node allowed is 0.5 cm and in case of inguinal nodes, the size of the lymph node allowed is 1.5 cm. a case of shotty lymph node reported with a size of 3 to 4 mm, which was soft on touch and can move and the lymph nodes on the right side of neck were less than 1 cm. These small shotty lymph nodes mostly present in the neck region. And the lymph nodes in neck are soft on touch as well as show benign change. The neck shotty lymph nodes occur due to the viral infection. The enlarged lymph nodes may present on both sides of neck. Head and neck are divided into 6 different areas for lymphatic drainage. The most important group of nodes are present in the internal jugular vein. The upper most region of lymph nodes is indicated as region 2 receives lymph via supraglottic larynx. The shotty lymph nodes in groin area are like bump appearance. The differential diagnosis says it can be hernia, because it closely resembles hernia. The shotty lymph nodes have to diagnose properly with ultrasound and CT scan. Almost 66000 people in the world are having shotty lymph nodes in groin area. The compression on this area may lead to worsening of condition and a light rest will make the lymph nodes to disappear by their own. Sometimes the patient have to go through biopsy or proper diagnosis. The lymph nodes in groin area are mostly asymptomatic.